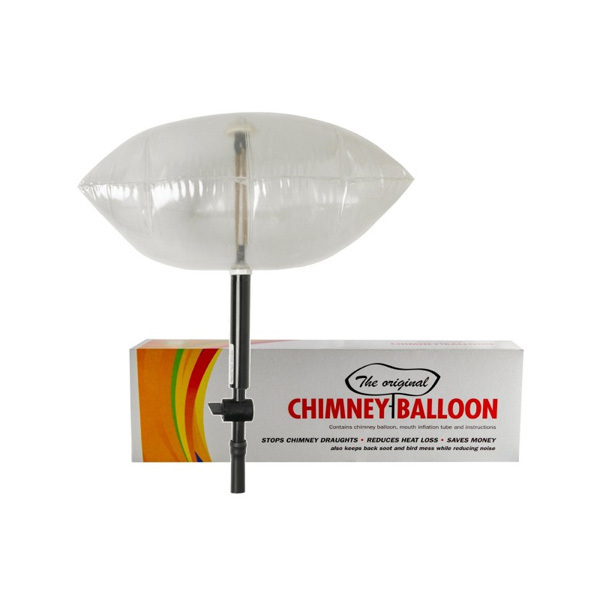 The chimney balloon comes in small, medium and large to fit all chimneys. It is made from special, durable, long-life plastics. 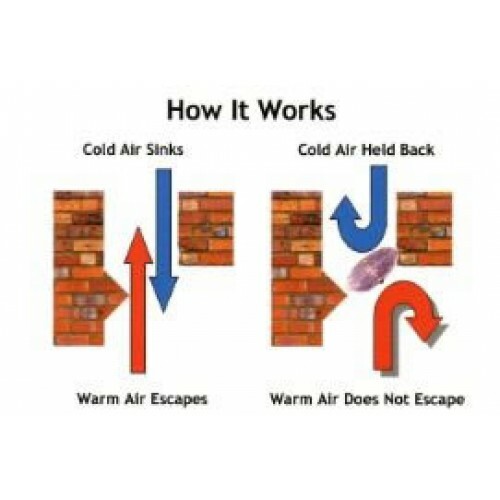 Simply inflate it with a tube or air-bed pump to block the chimney cavity. Cold air is held back. And heating costs are saved. Before lighting a fire, deflate it by opening the tap and then gently remove it. Completely safe- if accidentally heated the chimney balloon shrivels and deflates. Chimney balloons fit about 9” to 2ft above the fireplace opening.